5 Words: Loyalty, memories, love, family, community. This was a truly gorgeous read, and I loved every moment of my experience of Cherry Pie Island. I can't wait for the next book so I can jump back in! I found that this book was very much a feel-good, fun, flirty book, perfect for cheering up even the dreariest of afternoons. 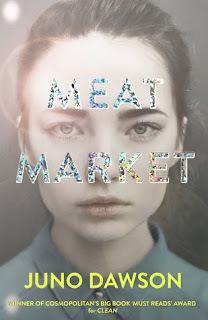 It was relatively quick to read, and although I wanted more I was happy with how it ended. The island is just adorable. It's a gorgeous little place that I just want to go to. Please. Now. Annie accomplishes so much and as a reader I really felt for her. Jenny Oliver really goes all out and drags you into the very soul of her characters. That ending? It was a little shocking and although one part of me wishes it had ended differently, I feel that that ending was perfect for the story. Now, I'm off to find some cherry pie. And I don't even like cherries. 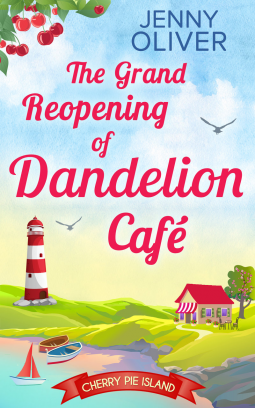 Win an e-copy of The Grand Reopening of Dandelion Café, Part One of Cherry Pie Island!